The Parson Barnard House was built in 1715 by Parson Thomas Barnard. The carriage barn was built during the early 19th century by John Norris, a founder of the Andover Theological Seminary. 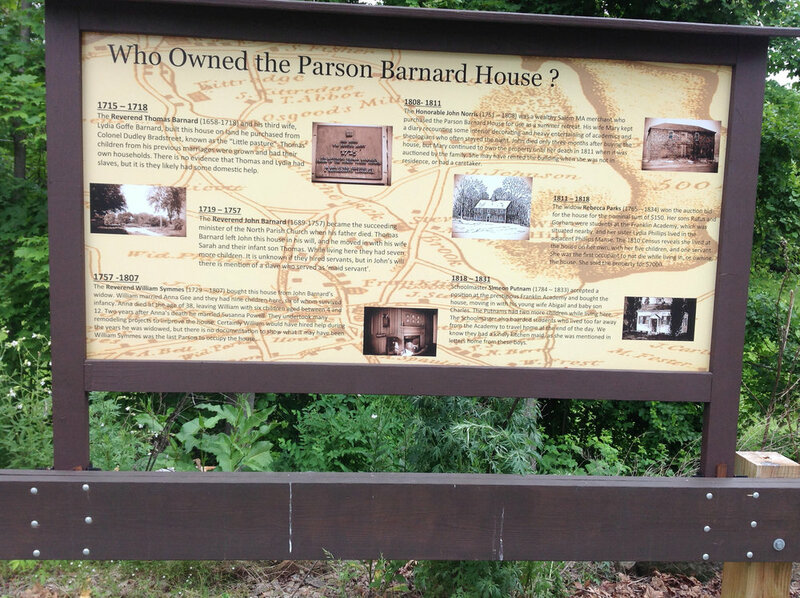 As Mr. Norris practiced law in Salem, Massachusetts, the Parson Barnard house was was used as local base and as a summer home for his family. visit us on 17th century saturdays! The building was structurally unstable because the ground on which the back wall was sited was positioned on a slope. The hill was eroding. 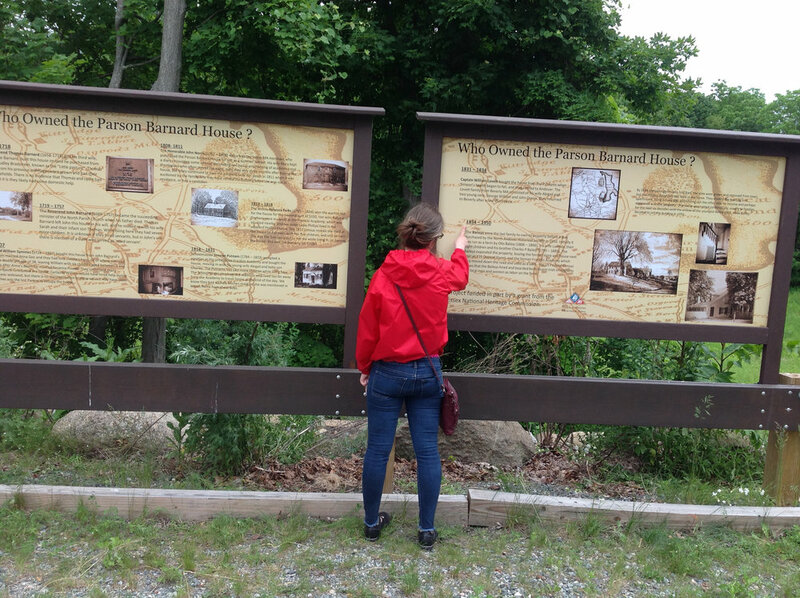 The Historical Society was forced to discontinue its use in school programs for many years, no longer able to us this space to highlight the history of the Parson Barnard House. Thanks to a $148,000 Community Preservation Act grant, the society was able to do substantive renovations to the structure. It was able to stabilize the structure with a retaining wall. In July 2017, the first floor of the barn was open, and the Historical Society ran a free open house, highlighting the potential textile demonstrations they can now use the barn for. The barn is open as part of the first Saturday (June - October) 17th Century Saturday series, sponsored by North of Boston Convention and Visitors Bureau. The goal is to bring the school programming back to the Parson Barnard House now that there’s more space in the barn. 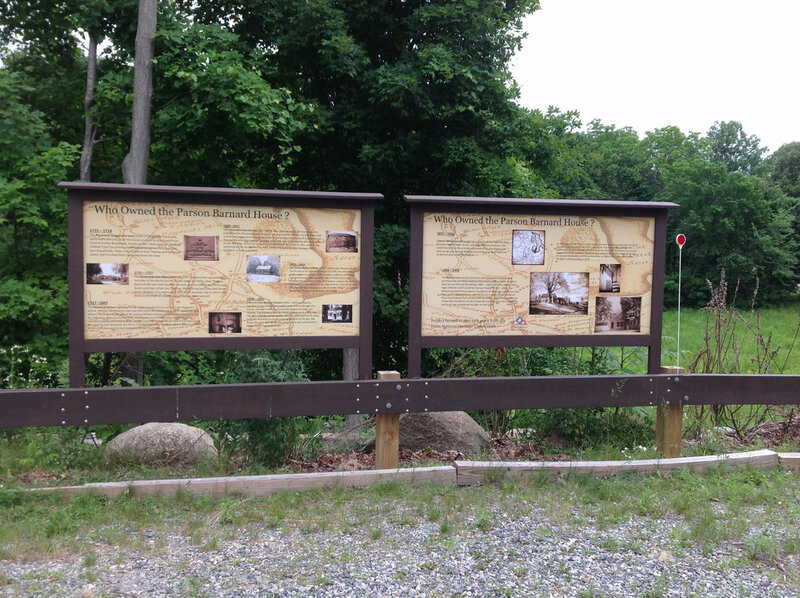 Beautiful new interpretive signs installed in July of 2017 and located outside of the barn, were funded in part by a 2016 Partnership Grant from the National Essex Heritage Commission in July 2017.